'United 93' sounds rather interesting. I don't know if Oliver Stone can pull off the sincerity involved in a big budget picture about 9/11 without being crowd-pleasingly sincere (like most big budget reality based films). And for the Kaufman-made anomaly called "Adaptation" no movie starring Nick Cage has ever [or will ever] be seriously considered for viewing by me [also except for critical examination of course]. I'll pass on those. We know the endings. we will see how they do! Though I hated Oliver Stone's Alexander, I generally like his movies. I am really interested in seeing what World Trade Center will be like. While I predict Rush Limbaugh and his tribe will be rather angry, I bet Stone will surprise us with a heroic portrait of the Port Authority cops he is focusing on. 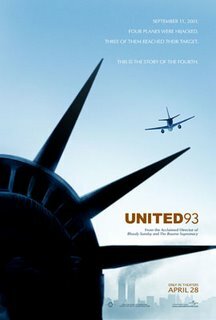 United 93 is being done by Paul Greengrass who managed to create a film out of a highly sensitive and politically charged subject, Bloody Sunday. It was a superb film, and managed to be political and moralistic without taking a huge stand and preaching. He did it by recounting the events well, as seems to be done here. If you see the latest featurette on the trailer site you'll see that he only did this if the families agreed, and they did with some openly supporting the film. I think this will be a strong and bold statement in the glut of September 11th films that are coming. As for the Stone version, it could go either way. He could take it the JFK or the Natural Born Killers route. Either quite factual and intelligently put together, or sensationalisation, big screen madness - which works very well for some films, but not such a true and telling story. 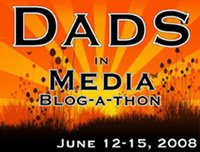 Personally I don't think this one will focus much on the events and rather these two very personal stories. United 93 is a must see in my book.